Love the bugler (naturally) - Any chance these will be available at Salute in April? Afraid not. We'll have our first release at Historicon and then we'll look at a retailer for the UK/Europe. Soft release in May at Huzzah; big release in July at Historicon. Magnificent idea:) figurines are magnificent Thank you for interesting you in this period of our history(story) because quality figurines over this period are rare. I look forward to seeing what it is going to give. Where can buy to ourselves your figurines? Haughtiness figurines:) where can buy them to themselves? 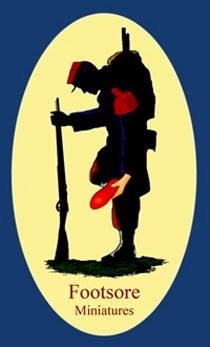 Do you go to realize French marines? A vos chassepots nom de dieu !! Thank you ! Your work is really great ! From a french fan ! I like very much what I see. It's on the same level as Perry's... I'll definitely start collecting them to expand my 1866 Alan Marsh collection. Now my fear is: Don't you plan to release more officers, buglers, standard bearers? I mean, you need a lot of minis to play this period: variety in poses, may be light and heavy kit (backpacks) and even winter vs. Sorry for my language: May be it would be more correct to say "desirable" than "essential". You know, I think nowdays it is very important to avoid the "lead robots" syndrom of the past (units made with one identical pose). These minis are realy great!! Hi, are these available to buy yet? How and where can I buy.. They aren't available yet. 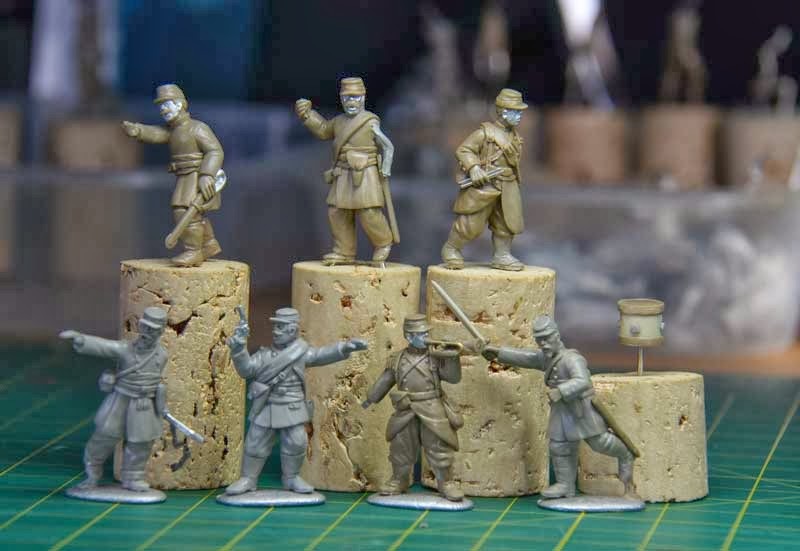 As soon as we have french and prussian infantry and command we will make them available. We are aiming for the middle of May. No plan survives initial contact with the enemy/technology. We are looking at July 2014 for the FPW Infantry again. This was our original plan although optimistically we had hoped to move forward by 2 months. Problems with equipment, and the "can" have pushed us back to our original date. Many apologies but I promise it will not be long now. Yes we have more French Infantry due in the next couple of weeks then Prussians.